KT-834 C. difficile Toxin A ELISA Kit — Epitope Diagnostics, Inc. 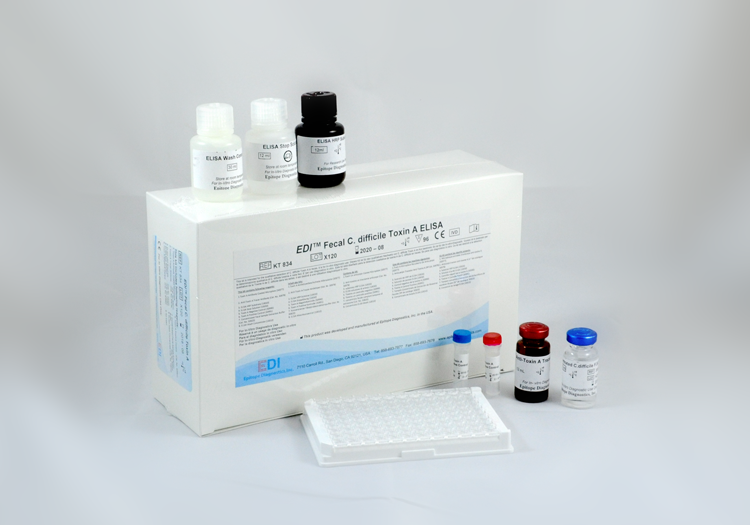 This microplate-based ELISA (enzyme linked immunosorbent assay) kit is intended for the qualitative detection of C. difficile Toxin A in feces. The assay is a useful tool as an aid of detection of C. difficile infection. A without cross-reactivity to toxin B.